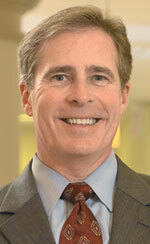 Dr. Paul Hennigan became president of Point Park University in September 2006. 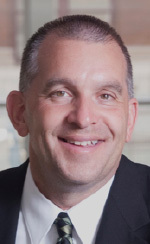 He served as the University's vice president for finance and operations since 2000 and was named acting president in January 2006 before becoming president. Hennigan holds a Bachelor of Arts degree in political science from Edinboro University of Pennsylvania and a Master of Public Administration degree from the University of Pittsburgh's Graduate School of Public and International Affairs. He earned a Doctor of Education degree from the University of Pennsylvania. Hennigan was chief financial officer for the City of Pittsburgh from 1994-1999 where he reported directly to the mayor. He was responsible for the development and execution of the city's operating and capital budgets, as well as short- and long-term financings; collection of all taxes; investment and management of all operating and capital funds; and executive management of the city's pension fund. He has also been an adjunct faculty member and senior management analyst for the H.J. Heinz School of Public Policy and Management at Carnegie Mellon University. Hennigan worked at Carnegie Mellon from 1988-1994 as a management consultant to the government of Allegheny County, responsible for managing its strategic planning project. On behalf of the City of Pittsburgh, he accepted the Innovations in American Government Award from the John F. Kennedy School of Government at Harvard University in 1999. The award was for the first-ever use of the Internet to sell municipal bonds, a project Hennigan directed and it was reported in the Wall Street Journal. Hennigan is chair of the Marketing Committee of the Duquesne Club and a member of the board of directors of the Pittsburgh CLO, the Pittsburgh Ballet Theatre, Leadership Pittsburgh, and the Allegheny Conference on Community Development. He is an Eagle Scout sponsor for the Boy Scouts of America and a member of Leadership Pittsburgh, Class XII. He is married to Colleen, and they have two children. The Hennigans reside in Franklin Park, a suburb north of Pittsburgh, Pa.
John H. Pearson serves as Point Park University's provost and senior vice president for academic and student affairs and dean of faculty. He is a professor of English in the Department of Literary Arts. Pearson holds a Bachelor of Arts degree from the Eckerd College and a Master of Arts and Ph.D. in English from Boston University. 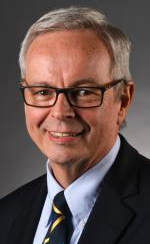 Before his appointment as provost and senior vice president for academic and student affairs in June of 2016, Pearson had a long career at Stetson University in Deland, Fla. At Stetson, Pearson served as associate vice president for academic affairs from 2013 until joining Point Park University. Other positions held by Pearson at Stetson University include director of the general studies program from 2001 to 2011 and chair of the Department of English from 1996 to 2001 and from 2012 to 2013, in addition to being a tenured professor of English. Bridget Mancosh was appointed to the position of Senior Vice President of Finance and Operations/Chief Financial Officer for Point Park University in September, 2006. She has served in the Finance area of the University since 1998. 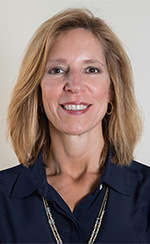 She holds a Bachelor of Science degree in Business Administration from Clarion University and an Executive MBA from the University of Pittsburgh. 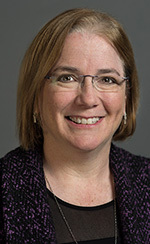 As the Senior Vice President and Chief Financial Officer of the University, she is responsible for the development of the University’s operating and capital budgets, financial reporting, financing decisions, enrollment management, human resources, information technology, student financial services, and all facility capital projects and operations of the University. Ms. Mancosh is a Certified Public Accountant, previously working for Deloitte & Touche. There, she worked in various industries including manufacturing, not for profits, health care and communications. She has also worked in banking in the corporate lending area. Ms. Mancosh and her husband have four children and reside in Wexford, Pennsylvania. 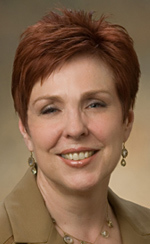 Mariann Geyer serves as the vice president for external affairs at Point Park University. Joining the team in October 2006, Geyer has worked with the president facilitating the development and realization of the Academic Village Initiative at Point Park University. The project is transforming the campus and the neighborhood it is a part of. As the vice president of external affairs, Geyer serves as the senior-most administrator responsible for establishing, maintaining and executing the strategy for relationships with public officials, legislators and community constituents to support the University's mission. In addition, she oversees the development and execution of the University's marketing and communications strategies. Geyer brings a diverse professional background representing proven leadership in senior-level government leadership, economic development, journalism, marketing and communications, and not-for-profit social service leadership. She served as the chief executive officer of the Greater Salt Lake Area Chapter of the American Red Cross serving approximately 1,123,000 residents in the Salt Lake City region of Utah. As the executive director of the Pittsburgh Downtown Partnership from 2001 to 2004, she led the non-profit organization responsible for the marketing and development of Downtown Pittsburgh. During a seven-year career in Gov. Tom Ridge's senior administration, Geyer served as the governor's representative for Southwestern Pennsylvania as the primary link between the governor, state agencies and the business, corporate and community leaders in Southwestern Pennsylvania. A 13-year career in television news management has taken Geyer around the world covering events such as Papal visits, Democratic and Republican conventions and humanitarian efforts in war torn regions of the Gaza Strip, Croatia and Serbia. She has held positions at television stations in her hometown of Wilkes-Barre, Pa., at WNEP, WPVI in Philadelphia and a 10-year run at KDKA-TV in Pittsburgh, where she served as the executive editor of the television news department. She is a member of the International Women's Forum and CEOs for Cities. Geyer and her husband, Dr. Stanley Geyer, enjoy the many qualities and cultural amenities Pittsburgh has to offer, as well as exotic travel. 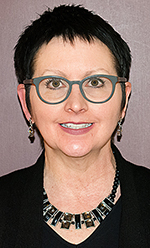 Lisa Stefanko joined Point Park University in August 2015 as the Vice President for Human Resources. Stefanko provides guidance and insight to engage employees to best deliver our mission. Her key responsibilities include benefits and compensation, employee and labor relations, recruiting and leadership development. Stefanko brought over 20 years of experience in human resources in both public and private industries and with both union and non-union facilities. She holds a Bachelor of Science in Labor and Industrial Relations from The Pennsylvania State University and a Master's of Business Administration from Auburn University. Stefanko is active in the community and serves on the board of directors of Allegheny Family Network and Parents in Toto autism resource center. She has been active in serving as Committee Chair of Cub Scout packs for over 10 years. Keith Paylo oversees the student experience outside of the classroom at Point Park University, which includes 19 different areas of the university such as residential life, student activities, co-curricular and cooperative education, study abroad and athletics. Paylo's first brush with higher education came when he started as an undergraduate at Robert Morris University. He dreamed of becoming a professional soccer player, but soon learned that his passion was in higher education. Following graduation, he worked for his alma mater in enrollment management for thirteen years, influencing each new class of students on an administrative level. Wanting a more personal connection students, Paylo accepted the position of Senior Director of Student Services and eventually Dean of Students at Point Park in 2003. During his time at Point Park, Paylo has witnessed the University transform. As the University has grown, so has Paylo's impact on the student experience, implementing an orientation program, growing residential life and new student activities like the Campus Activities Board. Even with all that he's done for campus, he cites the University's energy and dynamic student body as the motivation to continue to strive for success every day. Paylo holds a bachelor of science in business administration and an MBA, both from Robert Morris University. He resides in South Park, PA with his wife and their two children. Trudy Williams is the vice president of Enrollment at Point Park University. In this role, she oversees the recruiting and enrollment of new domestic and international students in undergraduate, graduate, and adult programs to meet the goals of the strategic plan. Prior to this appointment, Williams was assistant vice president for strategic planning and enrollment, with responsibility for overseeing the institution's strategic planning process, the admission and enrollment of new students, and the integration of these two major efforts with other departments. Williams brings more than 20 years of senior-level experience in project management, strategic planning, and finance to her role. Prior to joining Point Park, she was the assistant director of information technology for the City of Pittsburgh. Preceding her work in IT, she was a project manager for the Pittsburgh mayor's office and the assistant director of finance and budget. In addition to her work in municipal government, she has nine years of finance experience in the private sector. Williams holds a master of public management degree from Carnegie Mellon University and a bachelor of science degree from Robert Morris University, earning both degrees with highest distinction.